As we all know, smartphones a crucial part of all of our lives. They touch every aspect of our daily routines starting from providing us our early morning news to helping us navigate successfully through the least crowded route to the office while keeping us entertained – they are truly indispensable! More prevalent the use of cell-phone, more imperative is the need to curtail eco-pollution that emanates from the huge number of still-in-use and out-of-use cell phones. Toxic products like lead, mercury, cadmium, and other materials pose a real threat to our ecosystem. The alarming data surrounding climate change and depleted resources has forced the average person to consider their own footprint and ability to change. Fortunately, with eco-friendly cell-phones rising in the national conversation, cell-phone chargers are also going green. From the former Mophie executives comes Nimble: a new brand committed to creating high-quality, eco-friendly tech products at the lowest costs. Aiming to further change public perception about the technology they use every day and its impact on the world, Nimble offers an impressive range of wireless and portable charges and accessories that challenge the idea that eco-friendly can't also be sleek and beautifully designed. 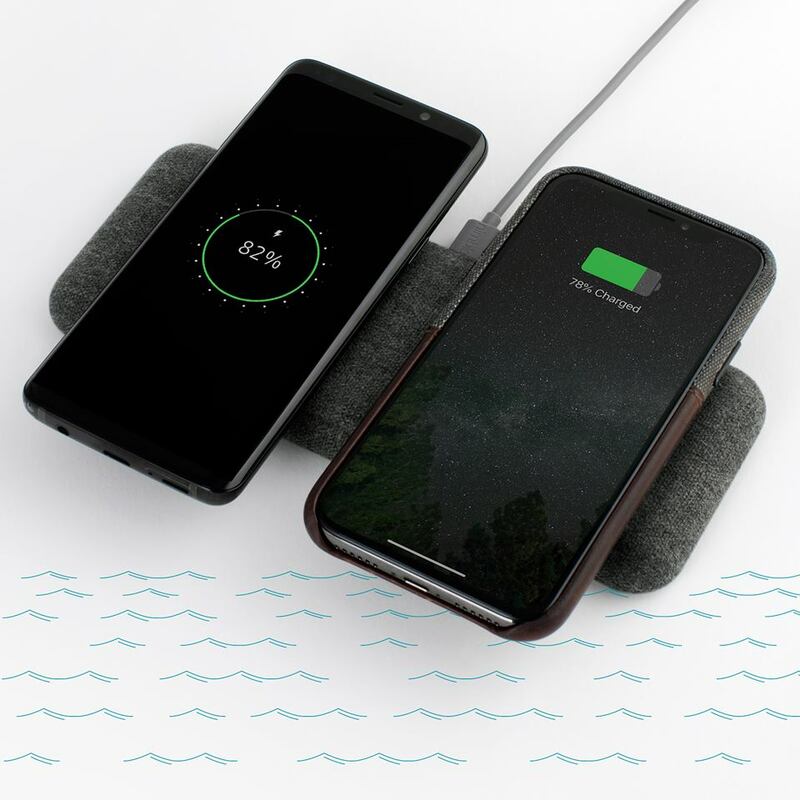 iPhone, Android, and Samsung compatible, Nimble's wireless phone chargers adopt the latest wireless charging standards, delivering power at the optimal charging speed for your device. An extra USB-A port allows you to charge multiple devices at once. To boot, Nimble's Wireless Travel Kit stores fashionably stores your charging cables; with the Dual Wall Charger magnetically attaching to the bottom of the pad, forming a single, compact shell for optimal portability. Most of us know that batteries aren't a great thing to throw into landfills, and rechargeable ones solve that problem while saving you money and space. A rare occurrence for a phone accessory brand, Nimble aims to be as transparent as possible in their production process from their pricing and suppliers to packaging choices and materials used. To help offset the growing amount of e-waste, Nimble will recycle up to one pound of e-waste for every product sold. Each product sold comes with an envelope for mailing in old or unused electronics directly to Homeboy for proper reclamation. Nimble also provides a free shipping label, which customers can print from its website. Nimble is committed to becoming e-waste neutral by 2022 through the recovery of an equal amount of e-waste as it adds in new products each year.